We’re Muddy Puddles, children’s outerwear experts. 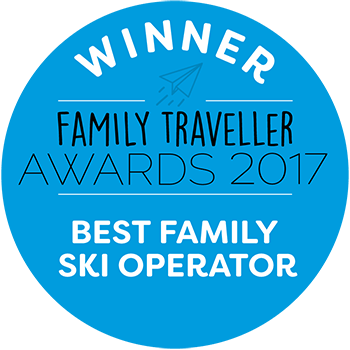 We’re super excited to have partnered with Ski Famille and share with you top 5 ski essentials for your children. Our mission is to inspire and enable thousands of children and families to enjoy the natural world around them and spend more time outdoors whatever the weather. We believe there’s no such things as bad weather, only the wrong kit and we’re always excited about cold, wind, rain and snow! Warm and cosy base layers are perfect to start any outfit with for the frrrreezing weather. 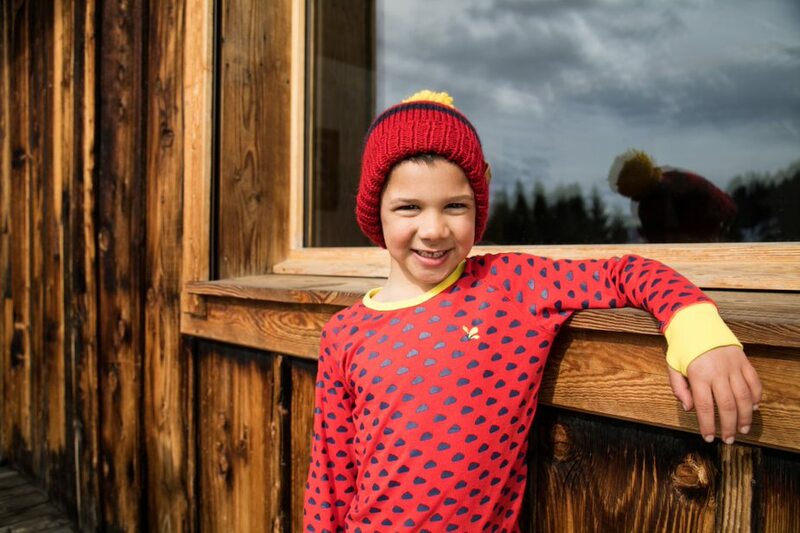 Layering is key in the chilly weather and warm and protective base layers are essential for any ski trip with children. Pack lots of layers and extra sets of thermals – they will be a lifesaver on a cold, windy day. Choose good quality, breathable thermals that will keep little ones warm whatever the weather and wick away any moisture when they start racing around. 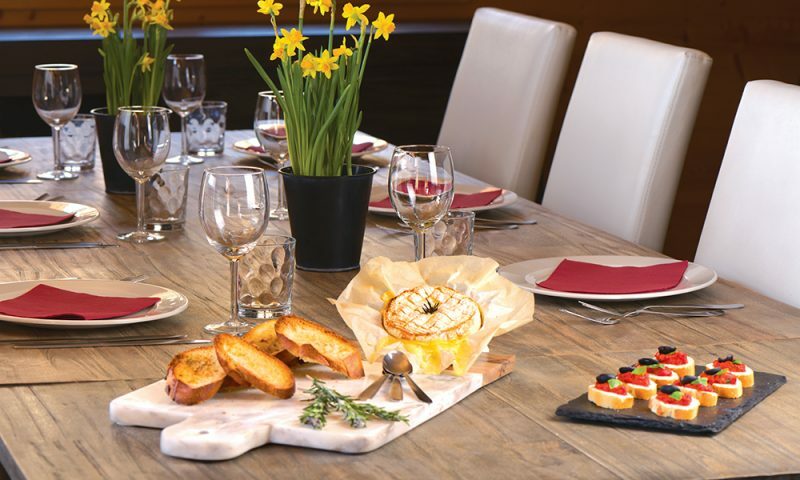 Make sure to pack a toasty hat for après-ski time to keep little heads warm and protected. Good quality ski gloves or mittens are essential – they should be ultra-waterproof, have sturdy rubber palms for better grip and keep fingers warm in the snow. A protective knitted balaclava or a neck warmer are also great to keep faces and necks covered and prevent winter windburn. THE perfect ski jacket should be designed with young skiers in mind. It should be 100% waterproof, breathable and have warm insulation. Handy details such as zip-off snow skirt, ski pass holder, wrist warmers with thumb loops or a removable hood will add comfort to their skiing adventure. A protective, comfortable ski suit will be perfect for smaller skiers. Choose a super waterproof one with a zip out removable fleece that can be easily adjusted for warmer days. Waterproof salopettes paired with a ski jacket will be perfect for older children. Make sure they have elasticated bottoms to fit over snow boots and reinforced fabric on the bottom and knees to make sure they withstand the rough and tumble of snowy adventures. A pair of sturdy, waterproof and warm snow boots is a ski holiday must-have. We recommend packing a pair of snow boots that can be worn into town after skiing or for long winter walks. 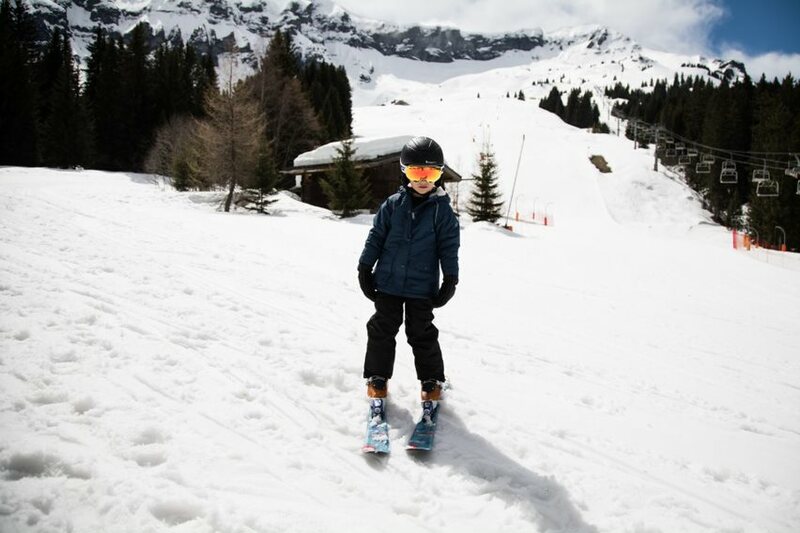 Our Snowdrift snowboots are perfect for any young explorer who is off on their first skiing adventure. They are snow-proof and grippy enough to get traction on steep icy terrains. 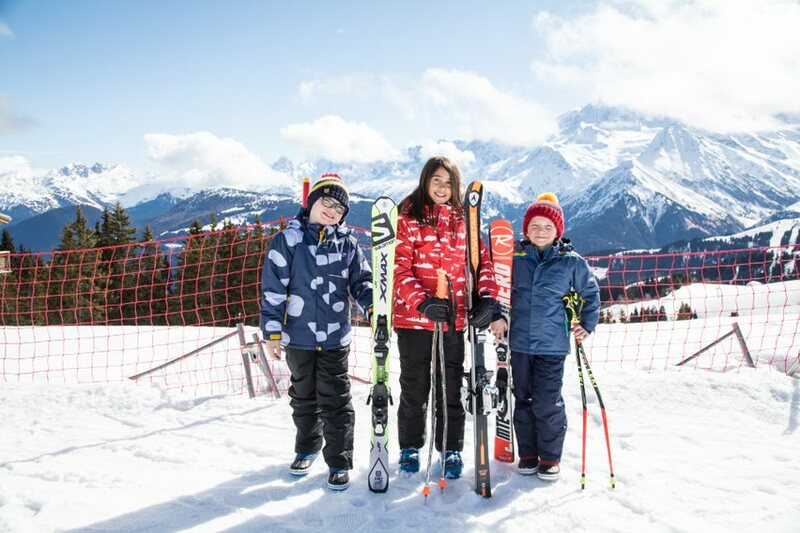 This list is a great starting point to make sure your little skiers are properly kitted out for their snowy adventures on the slopes however there are plenty more things you’ll need for a safe and enjoyable family ski holiday. Take a look at Ski Famille’s list of ski essentials that include your absolute basics you can’t leave your house without such as sunscreen and travel documents. For more waterproof gear for your little adventurer’s skiing and outdoor needs, pop to the Muddy Puddles website, we can’t wait to meet you!